DIRECT OCEANFRONT LIVING!! Welcome to 2-204! Corner Units really are the best! 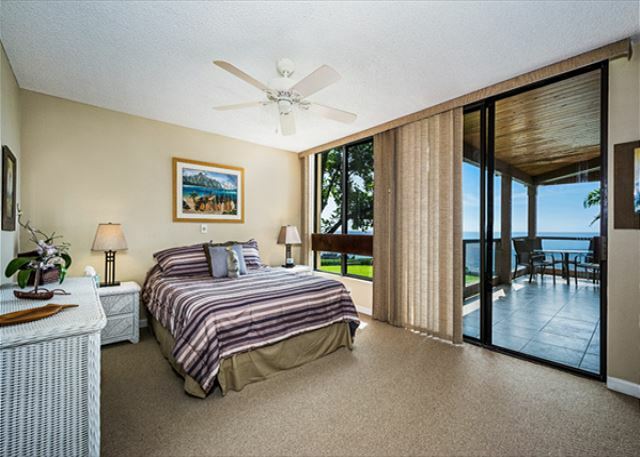 Master bedroom is right on the water!! Listen to the sound ocean when you go to sleep or when you wake up! Master bathroom has a walkin shower!! 2nd bedroom has 2 twin sized beds! 2nd bathroom features a tub/shower combo! The Lanai is huge!! Corner units have so much space!! Aerial Shot of the complex! 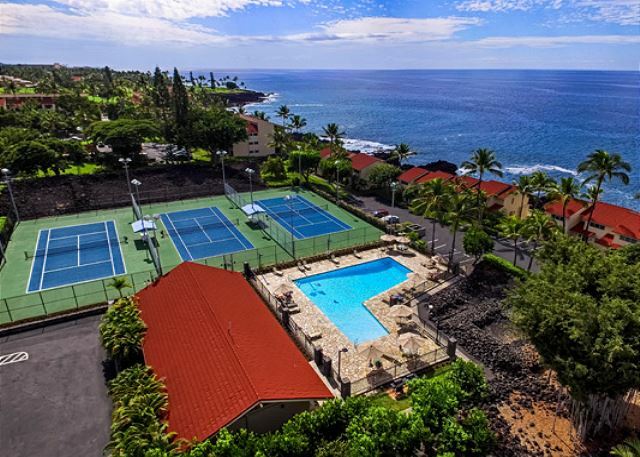 Welcome to the page of our gorgeous Keauhou Kona Surf & Racquet Club#2-204! DIRECT OCEANFRONT CORNER units are extra special here. The lanai is extended for extra space. 2nd floor, so only 1 flight of stairs! This property is absolutely spectacular. 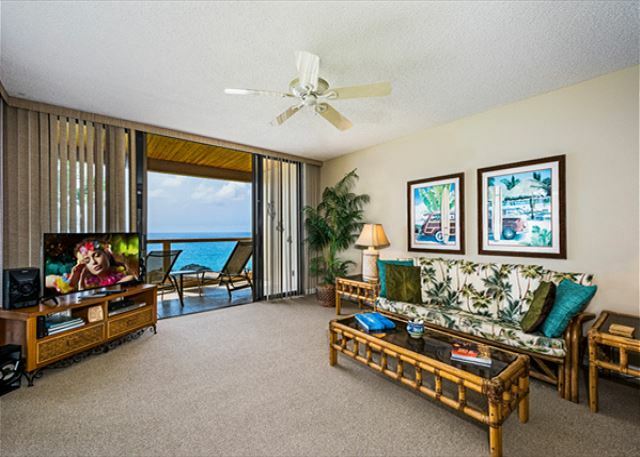 The owners have thought of absolutely everything to make your Hawaiian Vacation be perfect. **TAKE A VIRTUAL TOUR OF THE PROPERTY! SEE IMMEDIATELY BELOW FOR LINK! Really enjoyed our oceanfront condo and entire complex.The view is gorgeous! !The only downside was the glass was spotted on the lanai. Bar height chairs on lanai would correct that. I would love to return. My husband and two grown children loved staying at this condo and will select it again for future stays. We have stayed at this unit before and absolutely loved it. The view is absolutely incredible. We spend all our time out on the very large lana, ate every meal out there. 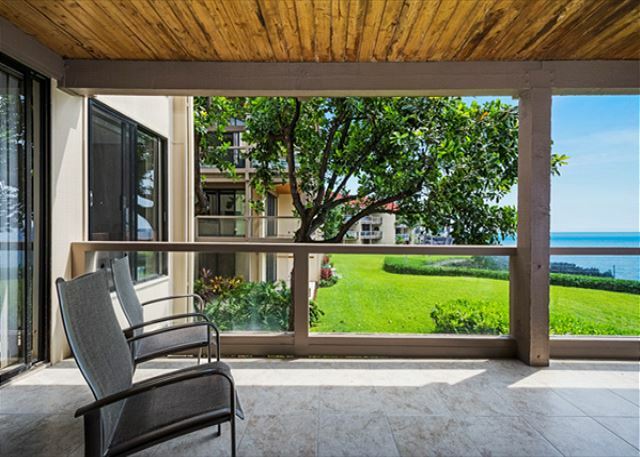 This unit has an absolutely stunning oceanfront view from the wraparound lanai. You are facing due west, so you get uninterrupted sunset views every evening, weather permitting. Since the lanai is where we spent almost of the time we were in the unit other than sleeping, it was a great experience. 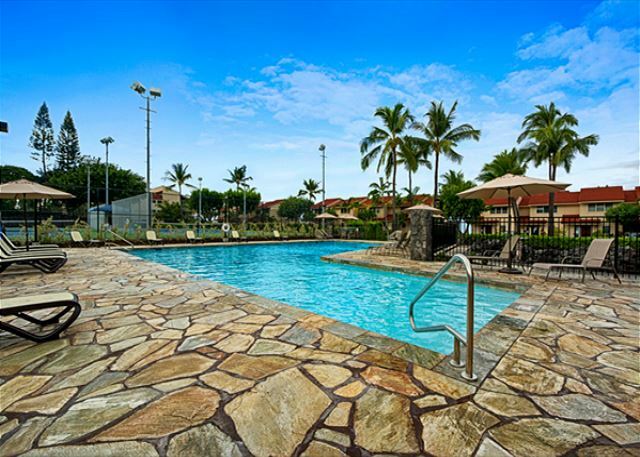 The Keauhou location is nice--very close to Kahalu'u Beach Park for great snorkeling and the Keauhou Plaza Shopping Center for food and supplies. The unit's furnishings and bathrooms were definitely showing their age, however. Everything was clean but overall a bit shabby. Proximity to the ocean meant that everything metal in the unit, from the window pulls to the bathroom fixtures are rusted or showing signs of corrosion. The bed was fine but the mattress was too soft for our liking. The unit is un-air-conditioned, but we didn't really notice this too much as there was pretty much always a nice breeze from the ocean at night and the unit has lots of fans. 5 Stars. Location amenities. All really nice. Only complaint would be need new ceiling fans and floor famns. A little worn. And maybe a cosmetic update. But the lanai was to die for. Would definitely stay there again. Multi generational family vacation. Ample room clean and well stocked. My husband and I rented this condo for 3 weeks in nov./dec.-17. Overall we were very satisfied! This was the 8th. time we rented a condo at the S&R Club. We just love this place with it's beautiful surroundings, and it is so peaceful here. Just the sounds from the waves. The view from the lanai is fantastic, and we could stay here for hours. Watching dolphins, whales and beautiful sunsets. Everything in the condo worked perfectly, and the kitchen is well stocked.We never used the livingroom or watched TV, so we don't know about that.We hope to be back some day, and again thank you so much for giving us a wonderful stay in your condo. Mahalo! Terje and Ann from Norway. The condo was nice and the view was awesome. Quiet with ocean view and waves crashing for a restful sleep. All the ameditites of Home. As for the location, it very close to good shopping center with a market and drug store, and only a 10-minute drive into downtown. 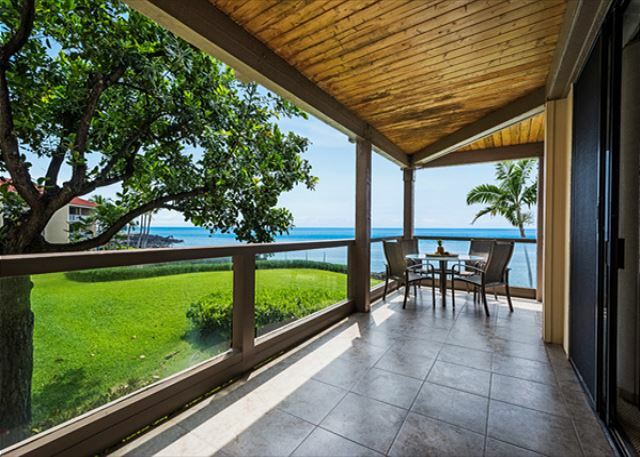 However, when we visit, we spend most of our time down around Captain Cook to snorkel at two-step and Kealakekua Bay, and the condo is about 5 minutes to the main highway, so all that is easy. The rental management company was extremely professional, communication was perfect, and the mobile app makes all the logistics of arrival easy as can be. This is a great condo run by a very professional company and we recommend it highly! We hope to return in the future! Awesome and convenient location. The ocean view property is spectacular. Very happy with our stay. Just wish we had more time to enjoy the beautiful view. We basically only came back at night after touring the island to listen to the waves. It is still worth it. How can just words express:it felt like home the minute we walked in, the view is spectacular and great places to go see that are as far away as you want to drive. Honest cleaning crew, long story, and Knutson is very helpful in helping me through the rental agreement. Can't say enough about the condo or Knutson. Will rent again and recommend to friends and family. One complaint: they need to fix sliding doors and screens,hard to move. Very spacious and well equipped apartment with an unforgettable view. Many thanks for the unforgettable time. The poinding surf is music to our ears. We had a wonderful vacation at surf and raquet club. This condo was very roomy, relaxing and the scenery was breathtaking every moment. Watching the beautiful sunsets everynight was pure bliss. This is a corner, second floor two bedroom condo looking out on the ocean. Could see whales breaching near the shore. Was very comfortable unit and well equipped. The Knutson and Associates representative responded very quickly when there was a leak in the kitchen (reported by the manager of the property). 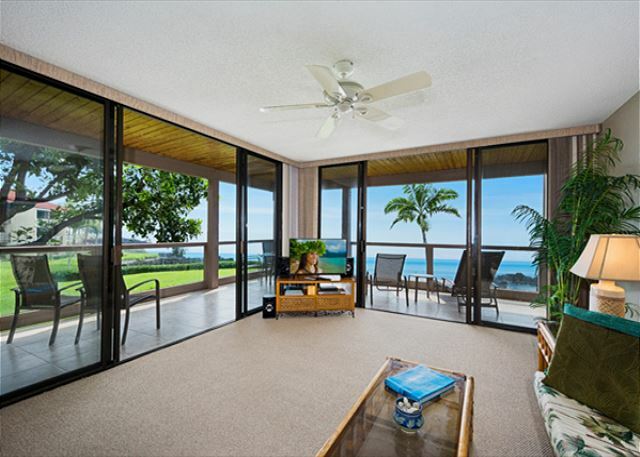 Beautiful location, we enjoyed the lanai and watching the sunsets. Would definitely return. Thank You for some great photographs and memories. 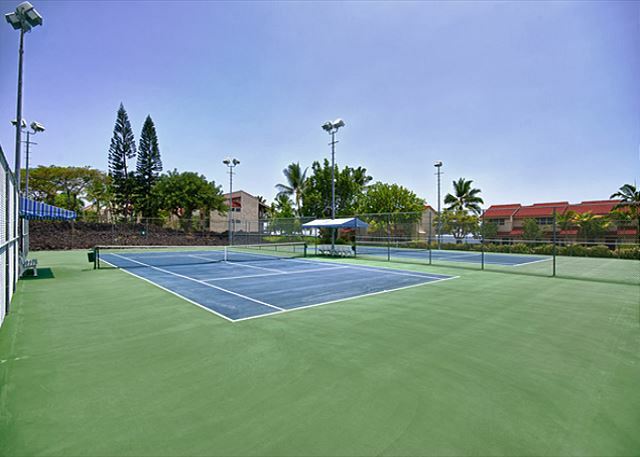 We enjoyed our stay in this comfortable condo, loved being right next to the tennis courts and the water. The property was clean and well maintained. Luck of the draw, the condo beneath us was being renovated during our stay so it was noisy. It didn't really matter, because we were busy, out and about during the day. So we would definitely come back again. Wonderful condo. The huge wrap around lanai with access from the master is great. We brought another couple and there was lots of room. There was beach chairs, boogie boards, lots of towels etc. Living room with sets of floor to ceiling windows both sides provided awesome views. 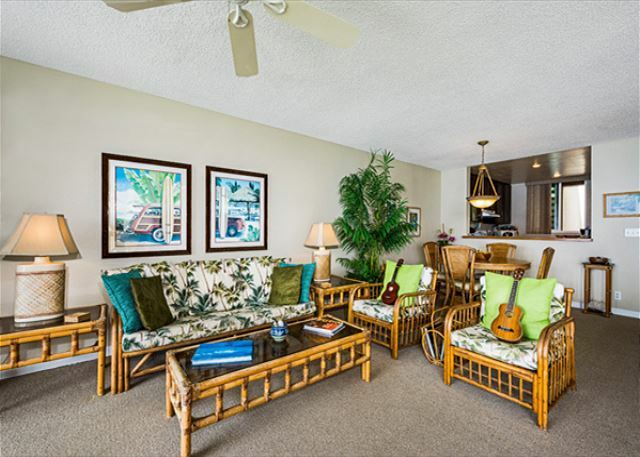 Condo faces west and sunset is right in front of your lanai. We had several dolphin sitings including a school of about 30 leaping their way northwards. Kitchen well equipped, fridge has ice-maker. The BBQ's were a short walk away and never seemed busy. Local phone wasn't working when we arrived but management got it up and running quickly. Local manager Albert great help as he was co-ordinating parking lot resurfacing when we were there. Normally you have your own spot so no issue. Gated entrance so local residents only. You are south of town so about 15 mins to get into Kona. There is a good mall about two minutes away with a Longs, grocery store, several restaurants. There is a good snorkel beach 2 minutes north and a great sandy beach for swimming and boarding if the surf is up another few minutes up the road. Sea Paradise and Fair Winds work out of small marina few miles south if you want to snorkel Capt Cook monument. My husband and I are used to rent hotels for our vacations. Not any more! The condo was perfect: clean, well furnished, cute, GREAT location, SUPERB view, nothing was missing in there, from the dishes to the books and infos on the Big Island, they even had some reading books and games! But the clue was the lanai: we loved it so much, so spent our whole time on it, didn't even try the couch! It was very quiet, grounds well maintained, a lot of privacy. LOVED IT! Will recommend to all my friends and announce it on my Facebook. Special thanks to Blake Kessner, who answer to all queries super quick. I will no doubt return at some point, there was so much to do and see, we didn't had time to do it all. 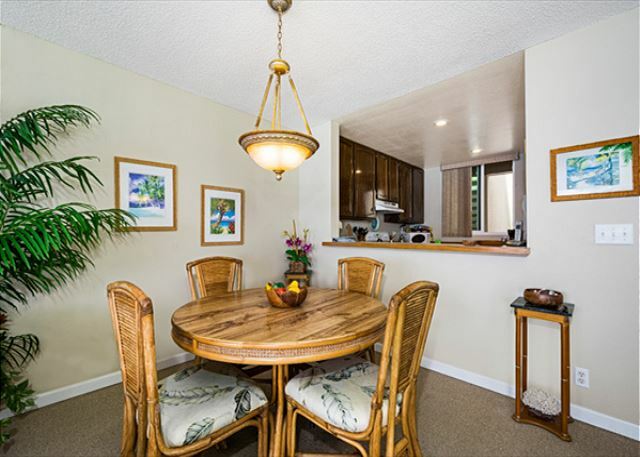 This clean and well equipped condo was perfect for our two couple stay in Kona. We would highly recommend this unit to anyone wanting a quiet relaxing stay. No A/C but plenty of windows and fans. Thank you for sharing this condo with us. 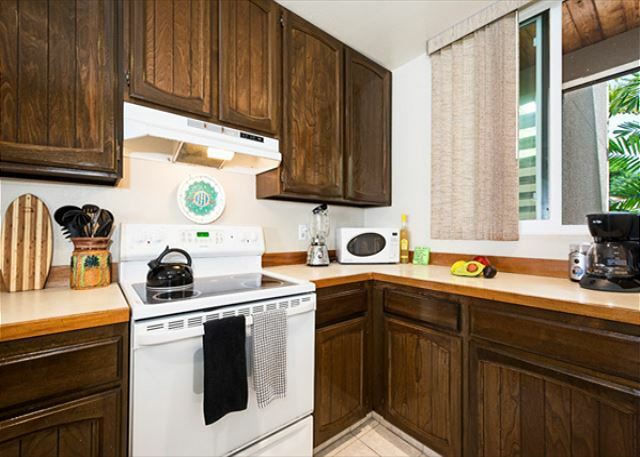 This condo is a nice spacious condo that worked out really well for our family of four. While it is a little dated, it was clean and has a great ocean front location. 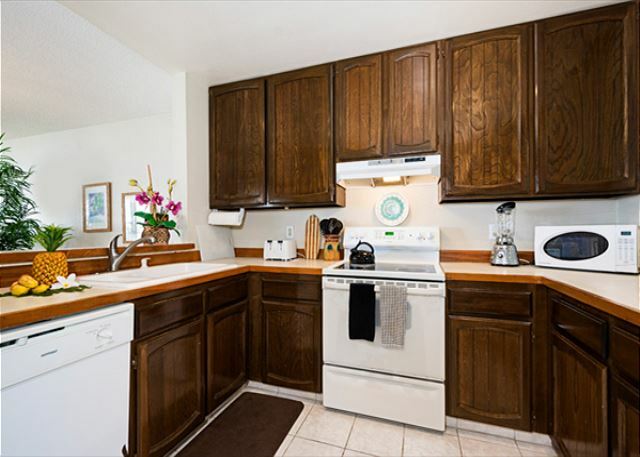 The condo is located in a quiet gated community. The kitchen was well equipped with lots of supplies. The queen size bed was a little small, but is very comfortable. They provide plenty of towels, both for the condo and the beach. It also has a new washer and dryer that worked well for us. It is located only a short drive to a really nice beach that had great snorkeling. Grocery store and other shops very close by. The only negative to this condo is you can hear everything in the condo above you. We loved it! Coming back soon. We were so happy with our vacation rental. We are already planning another trip, and we want to stay here again. Loved my vacation experience. Great location, clean condo, easy check-in and checkout process, helpful staff. They were even able to arrange for us to come in two hours earlier than the normal check in time. We only had one small issue, the WiFi did not work in the back bedroom. Other than that, it was a great experience. 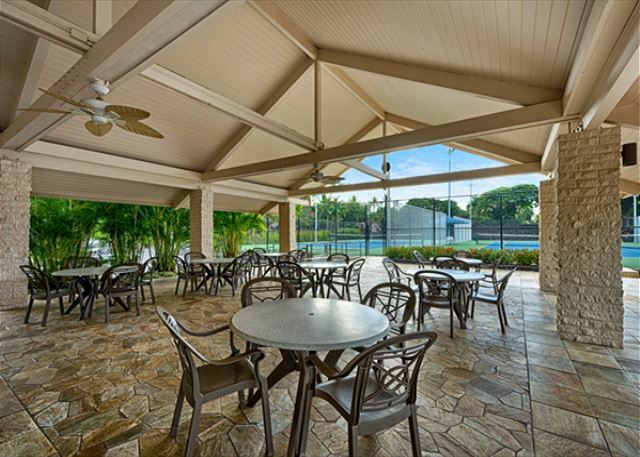 the property description was accurate regarding the location, layout, amenities, etc. I would recommend this property to a friend or relative provided they can walk up stairs. 2-204 is a true gem. Being on a corner with that amazing oceanview can't be beat. I absolutely loved it, and will be back! Fantastic experience. A wonderfull location and a perfect appartment. Great condo at reasonable price. I liked having the beach chairs and cooler for our trips to the beaches and volcano. Nice, easy parking at condo. We enjoyed our stay at the Surf and Rawuet club. The unit was clean,big and had everything we needed to enjoy 10 days in paradise. The wrap around lanai was amazing and we spent a lot of time sitting out there soaking up the spectacular view. The pool was nice,kept clean and well maintained. This unit was great for a family of 4. The few downsides were how hot the unit was at night. Bigger, more powerful stand up fans for bedrooms would be a plus. A proper king size bed in master bedroom would have been nice. The bed was very small and uncomfortable for two. A great location with a beautiful view! Renting our lodging was easy as could be. Blake was very helpful and responsive from the very beginning. We thoroughly enjoyed our stay and were so happy to secure this corner unit with the amazing view and the sound of the surf. The unit was very spacious with an abundance of supplies - from cooking utensils to boogie boards to beach towels. It had a wide array of entertainment options (games and beach gear) and even had skewers for cooking out on the grill. Having a full-size washer and dryer in the unit was a real plus. We would definitely recommend this unit to anyone who considering this location. They even have a phone app, which is very helpful with property information and nearby recommendations. The setting and the view CANNOT be beat. The complex is peaceful and the grounds are gorgeous. We thoroughly enjoyed sitting on the lanai of #2-204 watching sunrises and sunsets. The waves crashing on the rocks right in front of our unit were spectacular! There was generous, well-appointed space for 4 adults. It was clean and the beds, pillows, and sheets were comfortable. The unit was stocked with an assortment of spices and cooking oils, cooking utensils (minus tools for the community barbeque), beach towels and chairs, games, and books. We didn’t lack for anything during our visit. That being said, we did notice a few things worth mentioning for people considering this unit. The master bath needs some attention. The shower door was difficult to slide due to corrosion, the toilet seat kept collapsing on itself, and the shower stall needs a good soaking in bleach (we thought the guest bath was lovely). The clothes washer needs a few cycles with some Affresh. We were disappointed to find it doesn’t have air conditioning since the temps during our visit soared into the 90s each day (we live in the south and forget there are parts of the world where this isn’t a given). There is good air circulation through the unit when the ceiling fans are all on and the windows and doors are open. Even so, the back bedroom, kitchen, and dining room were uncomfortably hot. We were all sweating by the time we finished eating dinner, even with a table fan we found in the unit pointing directly at us. The kitchen faucet leaks and has clearly done so for a long time. The counter behind the sink has water damage and the dish washer has rusted where the water runs down to the floor. Also, whatever was used to clean the kitchen floor made it extremely slippery. Some kitchen mats would be helpful to prevent any serious accidents. All that said, we thoroughly enjoyed the condo and our visit. We will keep this unit on our list to book again when we come back. Grant and Blake at Knutson Assoc were so helpful - organising the delivery of hired baby gear and helping us settle in. The apartment is well set out and this is the second time we have stayed at the Kona Surf & Racquet Club. The view and the sea breezes make this a magic spot, we will be back and are telling all of our friends. Thanks so much for excellent prompt service and an awesome holiday!! Awesome - loved the wrap around lanai. We appreciated the use of the beach chairs, boogie boards and coolers. Very convenient parking and close to great beaches. We enjoyed our time in Hawaii very much. 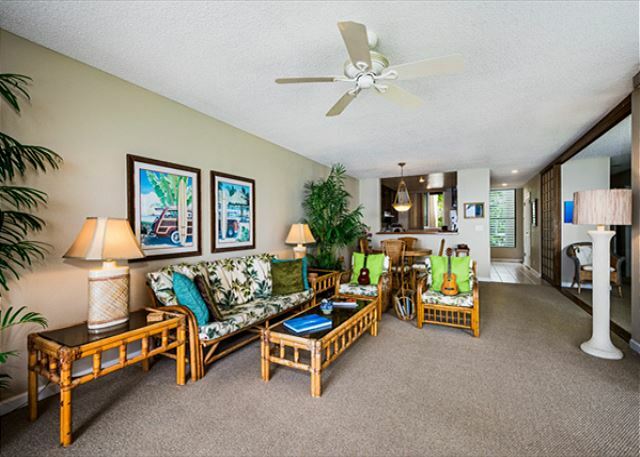 The condo was very clean and the lanai was exceptional! It was wonderful to be able to watch the whales when they made an appearance. I loved the art work in the condo. The pool was good but I would have liked to go into a hot tub as well. It was very close to the snorkeling beach and the market was right up the hill. The landscaping was well maintained. We loved watching the sunsets, there were a few that were spectacular at the golf course at the south end of the property. For the most part it was quite and peaceful. Our favorite place to eat was the Big Island Grill. Our favorite beach is Hapuna. Many thanks to the owner of the condo for sharing your space, it was wonderful! The property was great for our stay. It was clean and well maintained with all the amenities we needed. It was quiet and restful. We ate in most nights and enjoyed the waves breaking on the shore. We made a 2 day trip to Volcano National Park and had a wonderful stay at a B&B in Volcano called B&B At The End Of The Road. On the return trip to Knoa we enjoyed seeing several beautiful water falls near Hilo. We went to see the sunset at the Visitors Center on Mauna Kea. We had a great whale watching experience with Adventure X. It was a 40 minute drive so we visited Mauna Kea beach and had lunch in Kawaihae at Seafood Bar. Great food reasonably priced. We loved our stay at #2-204. 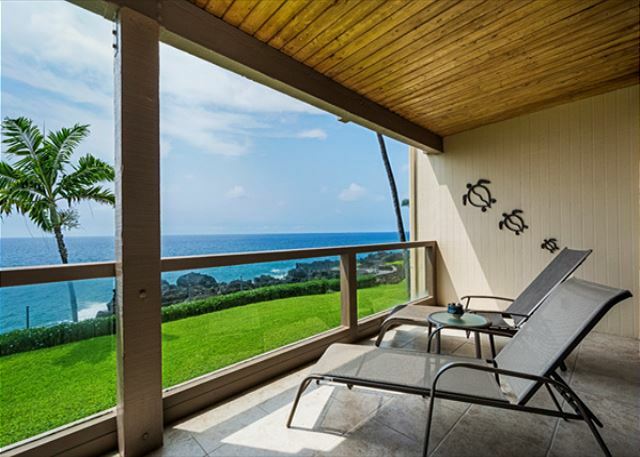 Being able to feel the ocean breezes and listen to the surf from either inside the condo or outside on the lanai was fabulous. It was perfect for 2 people, but 4 adults might find the living room furniture limited. 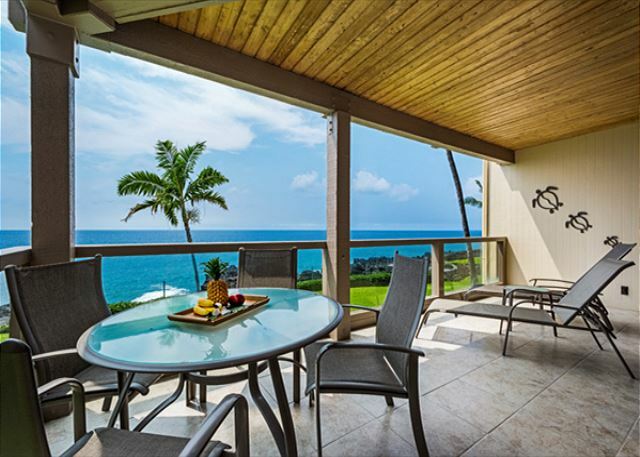 However, there is plenty of comfortable seating on the lanai. The kitchen could use a little spiffing such as a block of sharp knives, but it was functional. Bathrooms and laundry were great. 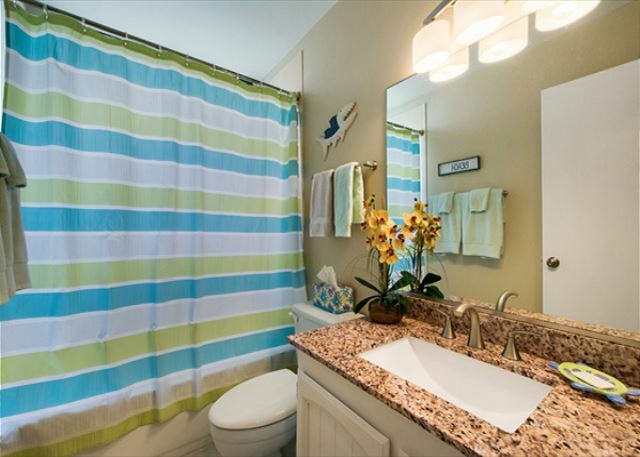 The unit is beautiful with a deck overlooking the shore and you can hear the surf at night. 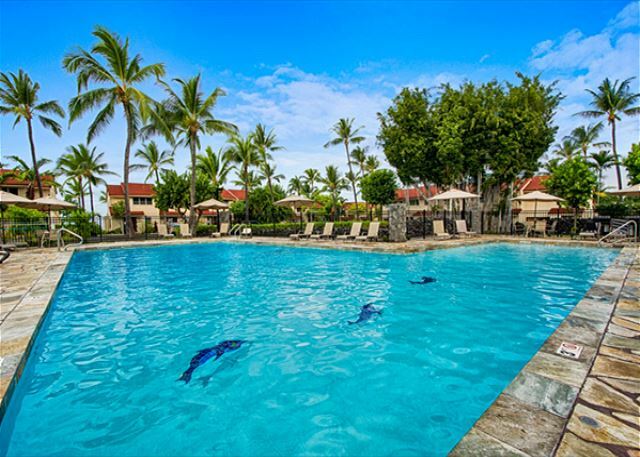 Shopping and the highway are close by, with snorkeling at Kahalu'u Beach Park walking distance away. A quiet and peaceful home away from home. There are few items that need replacing or needs repair. • The toaster needs to be replaced. Only one slot works. • One of the lounge chairs on the deck is broken and needs repairing. We noticed it was broken when we brought it indoors for protection from the hurricane. • We had to replace the wine opener -- the first time we opened a bottle of wine it broke. • There was a shortage of bowls for serving, plus the place did not have a medium size frying pan for our use. Other than that, we did enjoy the condo -- the view -- and everything else in the area. We've stayed at the Keauhou Surf several times over the years. While the internals of the units are somewhat dated you can't beat the location and proximity to the water. They don't build them this close anymore. The unit and layout were great. Second floor with a corner lanai offers impressive views. Unit had your typical stocking of plates, cookware, etc. Toaster needs to be replaced. 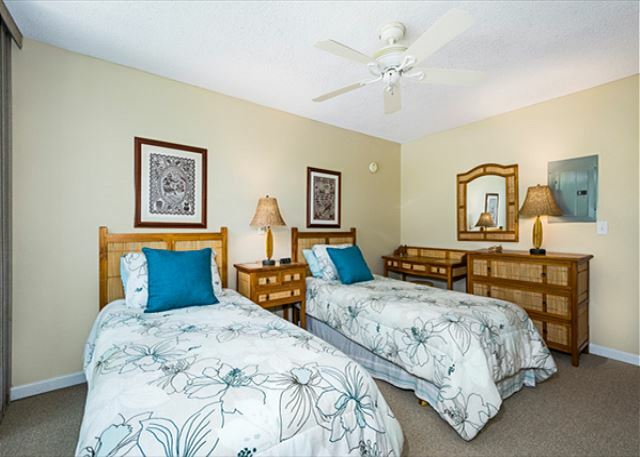 Keauhou is a nicer area relative to the pier area if you want quite and easy access to KTA and Kam III road to the Queen K.
Great value for the price and location and we would stay again at this unit. We stayed here for 8 nights. Gorgeous view (sunset!) and clean unit. Entire condominium was well maintained. Only thing we did not like was that I guess one of the neighbors (don't know which one) was smoking, I smelled smoke when we were having a breakfast on the balcony, and someone moved in upstairs late at night, talking laud and noisy foot steps. Other than these incidents, we loved the place. We stayed at the condo from June 5-10th, 2 adults and 2 teenage girls. It was a lovely place! The grounds of the Surf/Racquet Club are very well kept. The condo is clean,very well furnished with lovely local Hawaiian artwork on the walls. 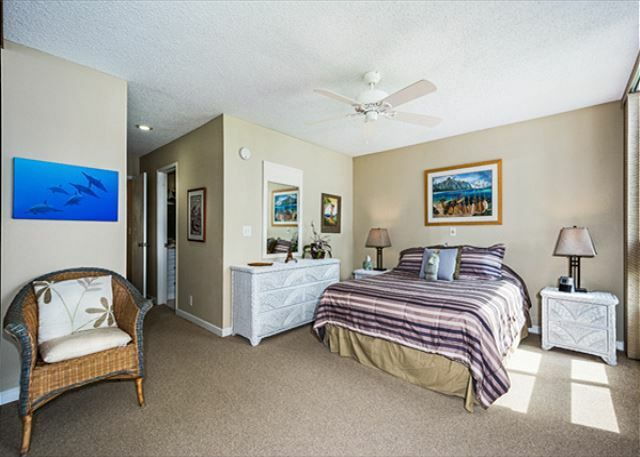 The 2nd bedroom(not pictured in VRBO) has 2 single beds, dresser, desk, night table. There are many extras like beach towels, beach chair, umbrella, books/games/DVDs; bring your own tennis/badminton racquet or volleyball. The drive to Kailua takes 10-15min. The walk uphill to the shopping center takes about 10min. I highly recommend this property if you want a quiet, beautiful retreat with a gorgeous waterfront view. The condo was very nice. It was great that there were boogie boards and umbrellas in the closet for our use when we were there. We also loved the use of the washer and dryer. Kitchen was adequately stocked with dishes and needed pots and pans. The pans were in poor shape but it is a rental. The view from the lanai was great. Being February, we saw several whale right from the lanai. There is not air conditioning, which being February, we did not need it. The location is close to great snorkeling and town. A bit expensive when you add in all the extra fees. The unit was very clean. Also very light and airy. Loved the wrap-around lanai. The only drawback: We wish the golf course were in operation. 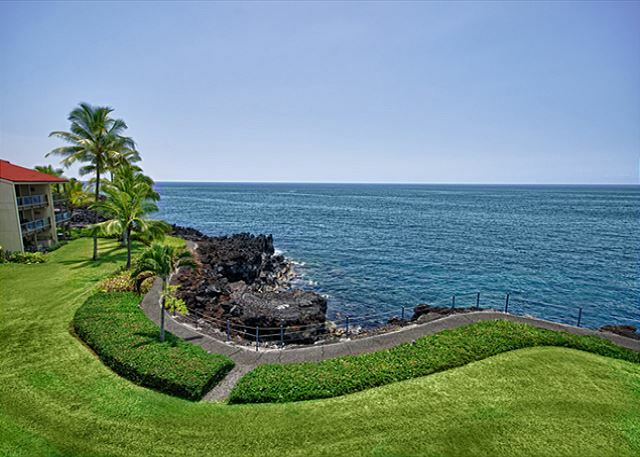 Condo & Knuson & Associates are great people to deal with.Would recommend this condo to rent on the big Island. Calm picturesque area of Maui. The rental condo was an excellent layout for our needs, but somewhat dated. 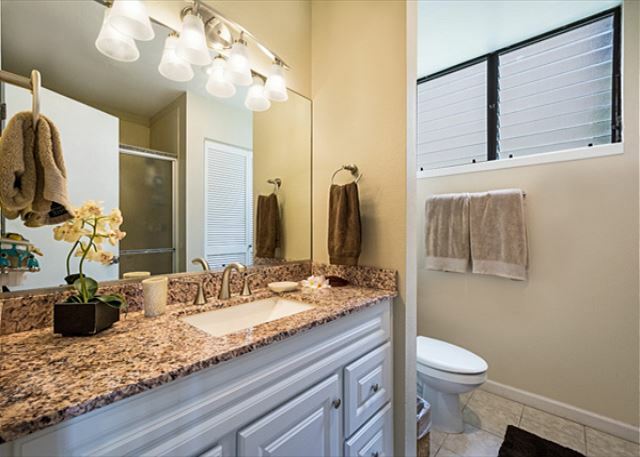 An updated renovation of bathrooms and kitchen would make this condo a five star in our opinion. Our only complaint was we weren't given the unit number of the condo in our booking instructions! We had to call 10 minutes before Knutson closed to get it. The mailing address was given but didn't provide a clue as to where it was. We had stayed in the same unit last year and I was please to see that there was some updating that had been done. I would suggest that the bathroom with the standing only shower be checked as the water was leaking from both handles while on. The unit was in good shape, was clean and also had many vacation supplies such as coolers, beach towels, chairs, boogie boards, mats and beach umbrellas. Really nice to stay in a place that made us feel welcome. The bbq in the main common area was not good, it just could not get hot enough to cook even fish. We eventually discovered an alternate bbq in an odd location, along an unlit stone pathway near the golfcourse. This bbq worked well, although we had to bring a flashlight to see what we were doing. Odd. The strata needs to upgrade the bbq areas. great location and great unit. We would happily stay there again. 1. The person upstairs walked like an elephant. She was quite noisy. 2. There were no spices -- I had to buy salt and pepper. 3. The place only had aluminum foil -- so had to purchase basic kitchen supplies. We enjoyed our stay in unit 2204, the wrap around lanai was wonderful and allowed for great air flow. The sunset views were terrific and it was a nightly event. The beds were very comfortable, the kitchen had almost anything you would need. There were also toys for the beach, which is very nice as everything in Hawaii is expensive. The bathrooms are a bit dated and could use some work, especially the showers. I am not a big fan of mold and I know it is a humid climate be we have stayed in quite a few other island rentals and have not ever had any mold in the bathrooms. Overall the unit was very nice and the complex was also a great. The pool area is nice and we also enjoyed our nightly bbq. Can't beat the location and view! 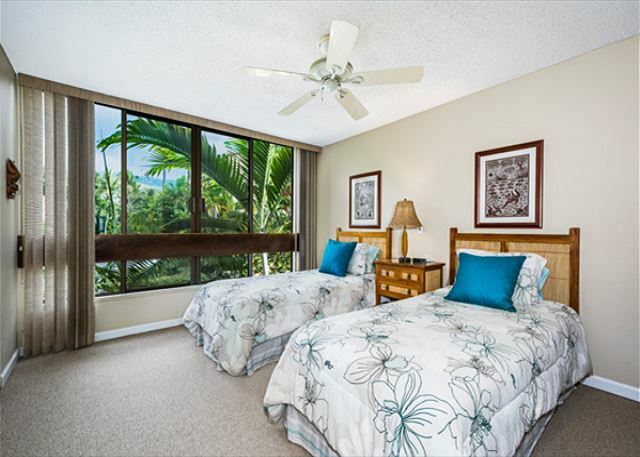 Comfortable beds, nice lanai furniture. Appreciated the beach equipment and lots of kitchen utensils. We hope to come back soon! A very nice vacation on Kona. We enjoyed staying here and would like to come back. Excellent for a quiet stay.Far from the downtown. A car is needed as the bus service is poor. We were very happy to stay at this condo during winter vacation. Location was great; ocean front, beautiful sunset everyday, close to shopping, enjoyed tennis with other visitors. We had breakfast every morning on the spacious lanai right by the ocean where we could hear the waves. We would definitely stay here again. Thank you for the wonderful vacation. I am sorry that you found mold in the master bathroom. Although we try very hard to make sure that doesnt occur, because of our humid environment, we cant control it all. I would have gladly sent the cleaners back in to make sure it was nice and fresh for you, had you notified me. We hope to see you again soon, and Happy Holidays! What a beautiful place! I have stayed in Kona countless times, but this is the place I yearn to return to soon. Everything was clean, great location, loved the pool! Could not have asked for a better trip! !